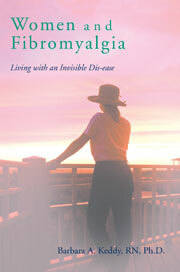 Since I am convinced that fibromyalgia is the result of a hyper-aroused nervous system, I wish I knew for certain if it is caused by early inadequate parenting by our parents and/or difficult childhood experiences in highly sensitive persons, or if we are born with highly sensitive nervous systems. I have my hunches, built upon numerous interviews and talks with many people (mostly women) over many years. In particular, my view is built upon my own experiences. Therefore, I will go out on a limb and suggest that we are not born with an easily aroused nervous system, but rather it slowly develops over many years as a result of our early socialization . Yet, even saying such a thing brings up the issue of children with fibromyalgia. Maybe, just maybe, they were born with the pre-disposition to this condition. What a dilemma! More questions than answers once again. Maybe it can be both nature and nurture. Parent blaming has become something of a modern day occupation. That is certainly not my intent. Who among us had perfect parents or are ourselves perfect parents? This entry was posted in borderline personality disorder, Brain and Consciousness, children and fibromyalgia, early socialization, Fibromyalgia, fibromyalgia and parenting, highly sensitive nervous system, hope, hyperventilating, hypervigilance, intense family obligations, M Deric Bownds, Melzack's Neuromatrix Model, mindfulness meditation, myofascial release, nature vs.nurture, nightmares, overly empathetic, pain and the brain, parent blaming, pre-disposition, psychotherapy, repressed memories, self reproach, situational generalized hypervigilance, sleep walking, SomaSimple, Susan Wendell, The Biology of Mind-Origins and Strucutures of Mind, types of massage therapies, unrealistic expectations on November 1, 2008 by Barbara Keddy.